She suggested making muffins with the batter---so I did! This recipe really appealed to me because it makes a lot, so it's perfect for our big family. For topping, I just mixed up a little cinnamon and nutmeg with some decorator's sugar I needed to use up and---voila! I was able to get 12 cupcakes and two loaves of bread from the recipe. Breakfast and dessert taken care of at once---perfect! I even have enough icing leftover for a batch of my Apple Rolls! Visit Kendra at Living In The Shoe for the full recipe. Thanks for linking up, Kendra! There's a "featured" button at the bottom of my sidebar for you. 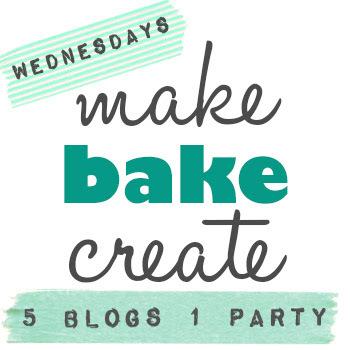 I'm loving your blog makeover! Thanks for the feature!! Glad to see somebody took the time to make muffins. :) I'm usually in too big of a hurry! One thing though....don't substitute baking powder for the baking soda. Ugh. I did that last time and they turned out pretty heavy! Oh my gosh! 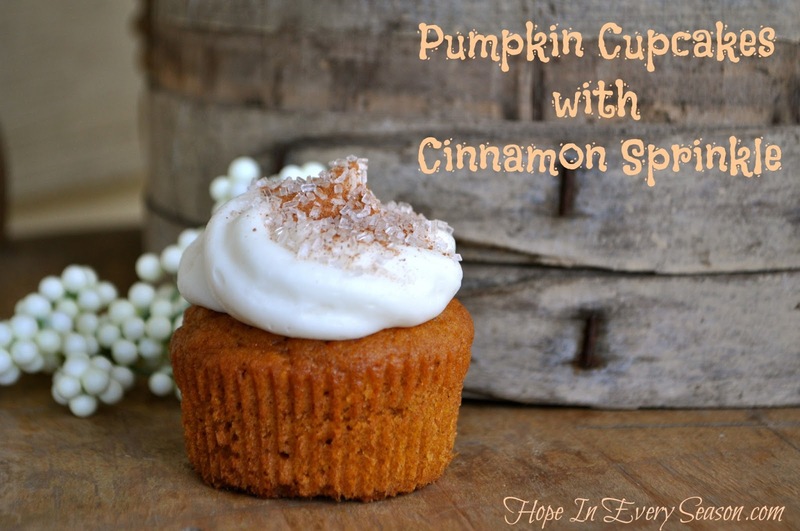 The little pumpkin cupcake looks so delicious! I always prefer a muffin to a cupcake and when possible will chance a cake into a muffin in a moment. Found you thru the hop. Visiting from http://makeitorfixit.com. Stop by when you get a chance. What darling muffins. Thanks for including them at Foodie Friday! They look delicious! 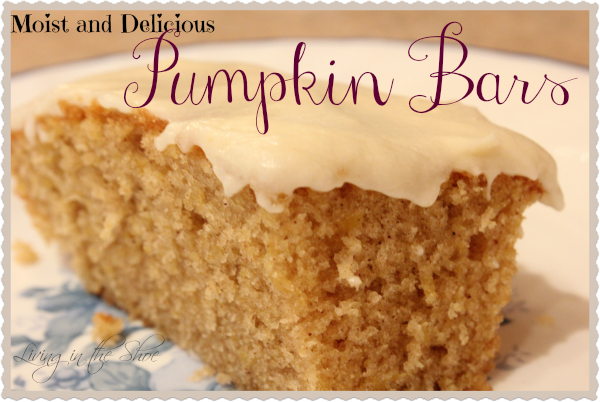 Pumpkin is one of my favorite things to bake with. Thanks for linking up at Leaving A Legacy. Your food recipes and your photos just keep getting better with each post!! Thank you for all the yummy ideas!